Former Bolingbrook police officer Drew Peterson acknowledges that his dead third wife and missing fourth wife might cause some concern for his soon-to-be fifth wife's family. 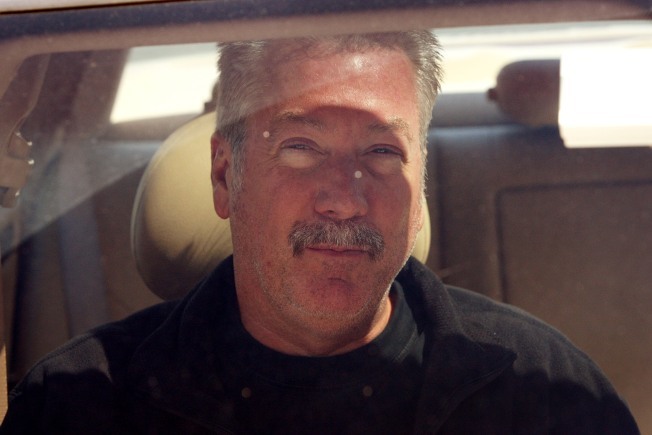 The wedding's off and Drew Peterson is a bachelor again. Apparently, now former fiance Christina Raines father, Ernie, arrived at the former Bolingbrook police officer's home Friday with a news crew and the police to "move out her stuff." "This is what the media always does to me," Peterson said. "As soon as the story got out on Chrissy, I knew it would be a problem for us." Armstrong says Peterson's appearance on ABC's "Nightline" Thursday contributed to the action. "She likes me. She likes me a lot," Peterson told Martin Bashir last night when asked why the 24-year-old Raines would want to marry him. "I'm a good guy." The former Bolingbrook police officer remains a suspect in the death of his third wife, Kathleen Savio and has been implicated in the disappearance of his fourth wife, Stacy Peterson. Raines, a waitress with two young children, had moved in with Peterson earlier this month against the advise of her father, Ernie Raines. Peterson told ABC that he understands why Raines’ family has concerns about the relationship. Stacy Peterson has not been seen since October 2007, and her husband has been labeled by police as a suspect in her “potential homicide.” That case is still under investigation. Savio was found dead in a bathtub in 2004. Her death is being re-examined by law enforcement. His second wife called him controlling, and his first wife said he cheated on her. “I will acknowledge 100 percent that I would have concerns if I were the friends and family of this young girl,” he said to Bashir. “She’s very shy, isn’t she? Not very confident?” Bashir asks on the video, which shows a person that appears to be Raines bundled up in heavy winter wear. “She doesn’t take well to new people or faces,” Peterson said. Peterson, who is not divorced from Stacy, said they haven’t set a date but will marry this year. “I enjoy belonging to somebody,” he said. He told Bashir that he and Raines don’t talk about his past relationships, though she knows about them.